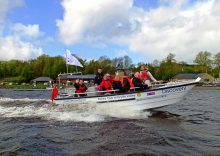 At our Castle Semple Centre in Lochwinnoch our highly trained instructors deliver Royal Yachting Association (RYA) powerboat courses. 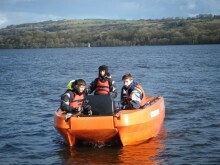 In addition to this our Wheelyboat allows wheelchair users to enjoy powerboating at Castle Semple Loch. You will develop all of the skills required to become a confident and self-sufficient powerboater. Contact our outdoor activities team for more information or call us on 01505 842 882 to make a booking. 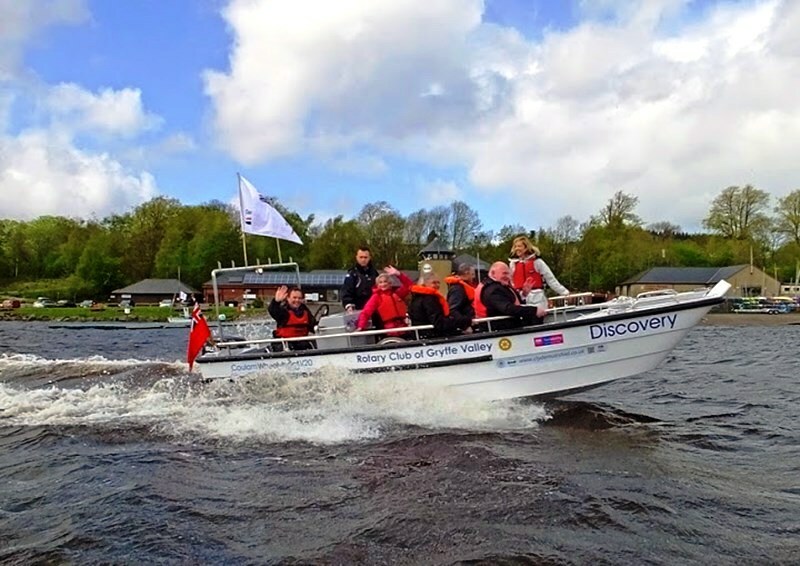 In 2015 we welcomed a new addition to our powerboat fleet, the Wheelyboat ‘Discovery’. It is a Wheelyboat V20 and can carry up to 4 wheelchairs and their carers in its 20 foot length. Discovery will allow even more poeple than before to access the water with friends in comfort and security. It’s acquisition as part of the Regional Park’s Sialbility programme was aided by the Wheelyboat Trust and The Rotary Club of Gryffe Valley. The boat was launched by double olympic Gold medallist Shirley Robertson in May 2015.